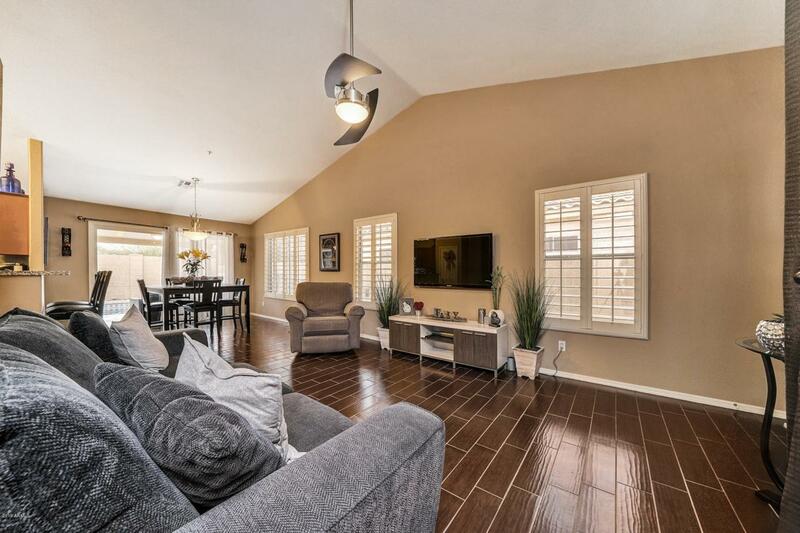 FULLY RENOVATED single story luxury home awaits its new owners in Sierra Ridge Estates. This gorgeous 2-bedroom/1 den and 2-bathroom home features vaulted ceilings, high quality two tone interior paint, stunning wood like tile floors, carpet, upgraded kitchen, matching stainless steel appliances, premium granite countertops, tiled bathrooms, newly installed toilets, faucets, window treatment (shutters), HUGE master bedroom with a sitting area, fans, hot water heater, water softener, garage cabinets, and the list goes on. 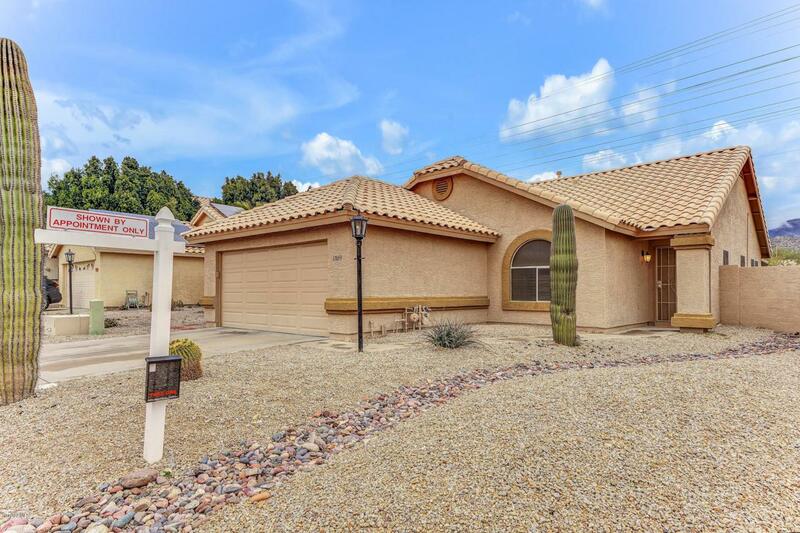 Front yard boasts desert landscaping. 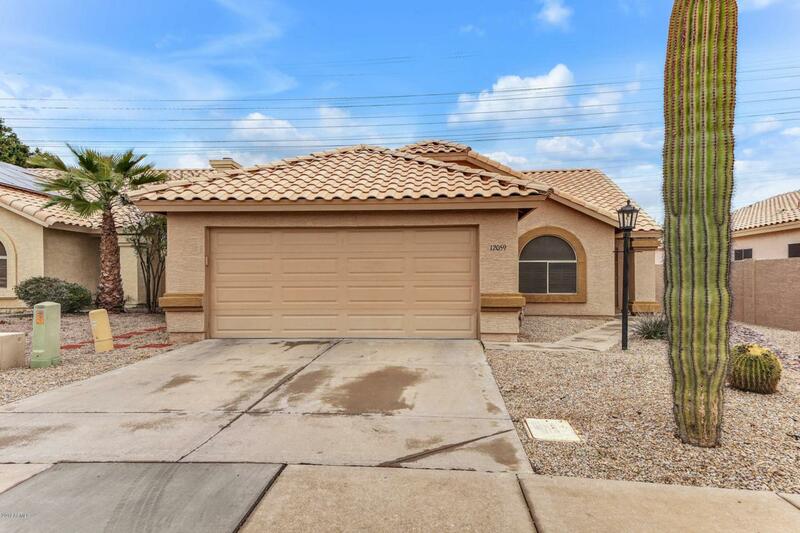 Backyard is desert landscaped and has a newly resurfaced pool deck and pool pump. This home has a cozy and elegance feeling right when you enter. The finishes will amaze you. 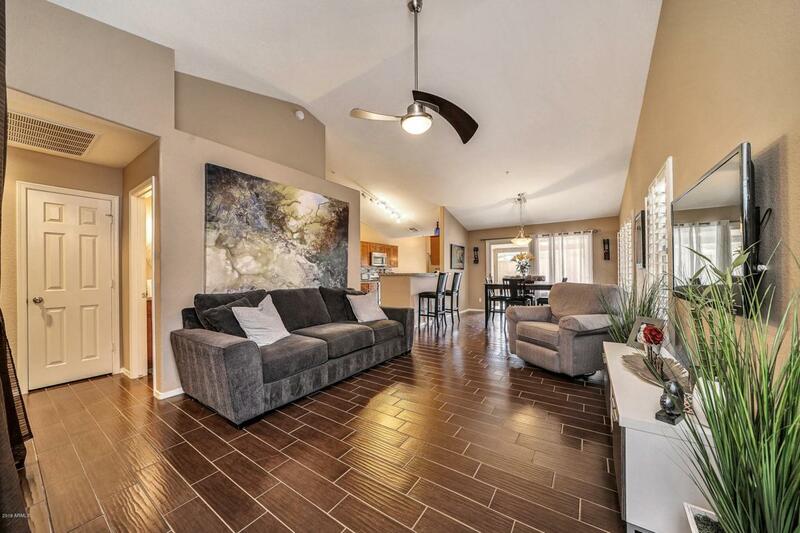 This pristine home awaits you!! !